It’s been announced that comedy doyen, Dawn French, is to star in ITV’s latest sitcom set on the sunny shores of South Devon. French has been cast in the central role as Maggie Connors, everyone’s favourite busybody, who lands herself in some hot water after gossiping about the private lives of the village denizens to an ‘all ears’ radio journalist. The intriguing and hilarious consequences of her tongue wagging exploits sees her neighbours’ otherwise quiet lives uprooted and derailed. Playing on the sagacious old chestnut: ‘people in glass houses shouldn’t throw stones’, Glass Houses will be going into production this spring and will be set in the fictional, close-knit community of ‘Thurlbury’ (the real name of the location still remains under wraps). 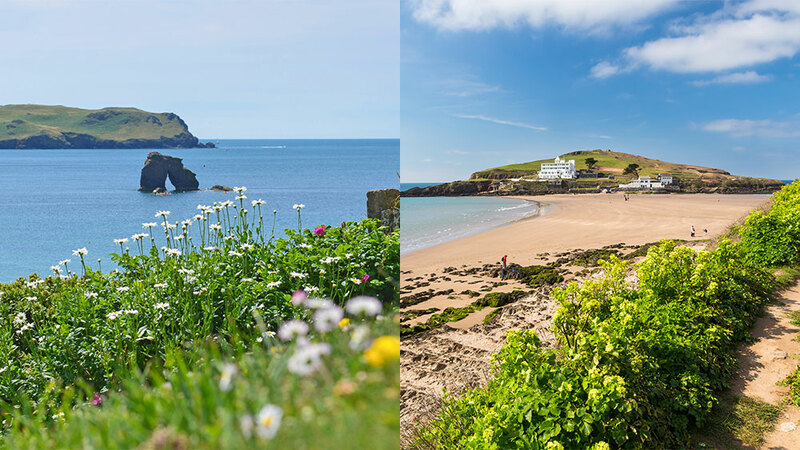 Could ‘Thurlbury’ be based on two of our favourite beachside villages, Bigbury and Thurlestone? Written and created by Mark Brotherhood, the brand new six-part series will also star Mark Heap (who plays Peter the headmaster, Maggie’s enduring husband), Julie Hesmondhalgh (who plays Jill, Maggie’s best friend) Vicki Pepperdine (cast as Karen the school secretary) and Patrick Robinson (who plays Marcus, a handsome part-time Turlbury resident and best-selling author). Other characters all set to make you chuckle are; Carol the village GP, local shopkeepers Emil and Roxanna, and hair salon owner, Kelly. The show follows in the footsteps of ITV’s hugely successful comedy series Doc Martin, also set in an idyllic West Country seaside village, only further along the south west coast in North Cornwall. Funny woman, Dawn, is no stranger to idyllic countryside locations having already won the hearts of the nation with her indelible performances in the role of The Reverend Geraldine Granger in the award-winning BBC sitcom, The Vicar of Dibley. When the cameras start rolling later this springtime, she won’t have far to travel from her coastal home in Fowey, South Cornwall, to be on set. ITV have so far made no mention of when the series will be aired, but we’ll do our level best to keep you all up to date with all the latest Glass Houses ‘goss’.